In some cases, particularly when using the camera models Leica M9, M9-P, M Monochrom or M-E with smaller apertures (5.6-22), effects caused by corrosion of the sensor glass may be encountered. 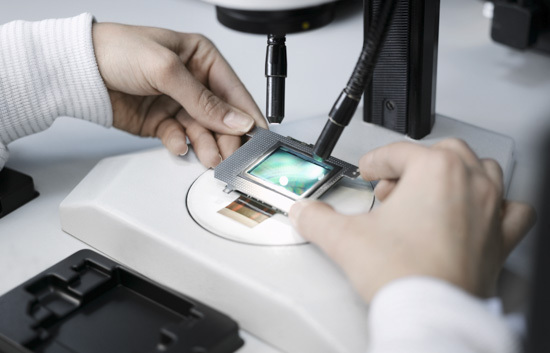 Leica offers a free replacement service for the CCD sensors of cameras affected by this problem as a goodwill arrangement. This goodwill arrangement applies regardless of the age of the camera and also covers sensors that have already been replaced in the past. Customers who have already been charged for the replacement of a sensor affected by this problem will receive a refund. Contact: Web site: http://en.leica-camera.com/Service-Support/Repair-Maintenance. E-mail: Customer.Care@leica-camera.com. Telephone: +49-6441-2080-189. This entry was posted in Leica M-E, Leica M9, Leica M9-P and tagged Leica M9 corrosion issue. Bookmark the permalink. Trackbacks are closed, but you can post a comment.